Eliot Sumner’s “Species” starts out with Joy Division-means to a New Order-end. 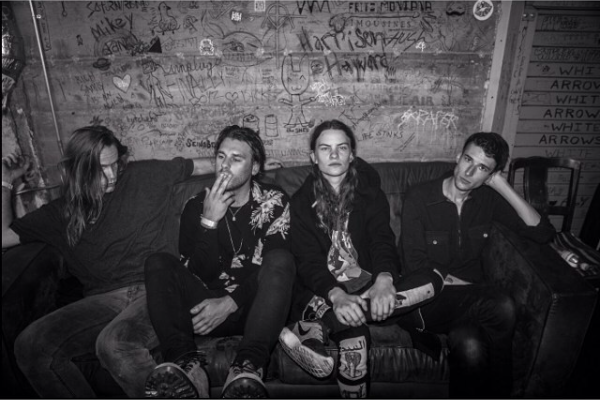 Photo: Eliot Sumner Instagram. Even her noir Instagram has that 70s edginess. In a hushed booming Joy Division vibe, Eliot Sumner’s latest music video “Species,” opens up with suspenseful thumps, confining us into the dark room where we dose on her polished raspy chants. Other than the neon lights and geometric patterns, the camera lens focuses on the band like many of her past ones. Whether it’s her artistic signature or her own cure for our C- viewing attention, she knows that simplicity is the ultimate hook. “Species” gives a massage-like pounding to our eardrums with its blustery electro-wounded percussions that have silent mounting tension during its intermissions, resembling a New Order-flair. Eliot Sumner, who began under the moniker “I Blame Coco,” has released her album The Constant back in 2010. She’s been sporadically publishing new singles in the past years. Aside from being a mysterious cool dudette who can pull off the androgynous style (that makes her look better than your boyfriend or girlfriend), she’s also good at weaving 70s rock with modern strands.